MobiTalki's "Quick Start Guide to Mobile Marketing"
MobiTalki's, "Utlimate Business Card" is a leading pioneer in mobile marketing. 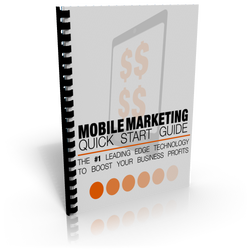 This essential Quick Start Guide describes for you 'step-by-step' how to market and promote your mobile site to attract the increasing numbers of mobile customers. MobiTalki subscribes to the steps found in this essential guide to setting up and implementing a successful internet marketing strategy.